It was a mixed-results year for my Renee’s Garden flower seed trials. 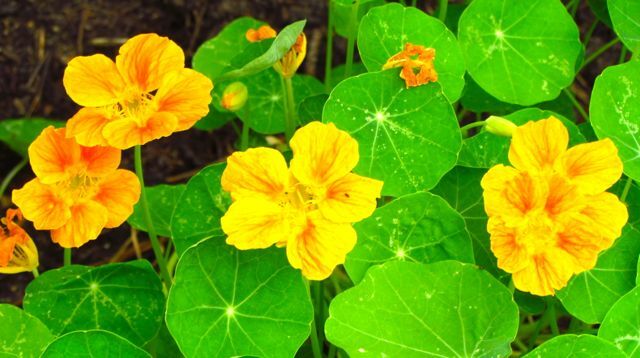 Top winners included the two nasturtium varieties I tried last year — Spitfire and Cup of Sun. They were so gorgeous last year that I just had to have them back again, and they did not disappoint. In fact, they exceeded all the expectations I had based on last year’s results. More on that in a moment. 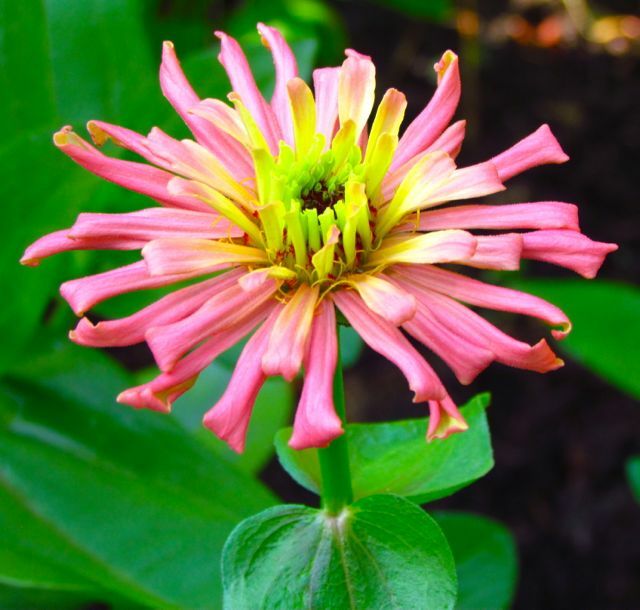 The other big winner this year was a zinnia: Raggedy Anne. These are old-fashioned zinnias that produce long stems, making them ideal for cutting to use in indoor arrangements. I’ve had trouble with such zinnias in the past. Usually the heat and humidity of typical North Carolina Piedmont summers are too much for them. They bloom for a bit in early June, then succumb to fungal diseases and drought. Not this year. My zinnia patch on July 10. Two factors likely played pivotal roles. First, the weather this past summer in my region was atypical. We never hit 100 degrees, nor the high 90s, even during the dog days of the season, and we never went into drought. I haven’t had a summer growing season without drought in over 15 years. I had truly forgotten what adequate rainfall can do for a garden — and, alas, the weeds — but that’s another story. 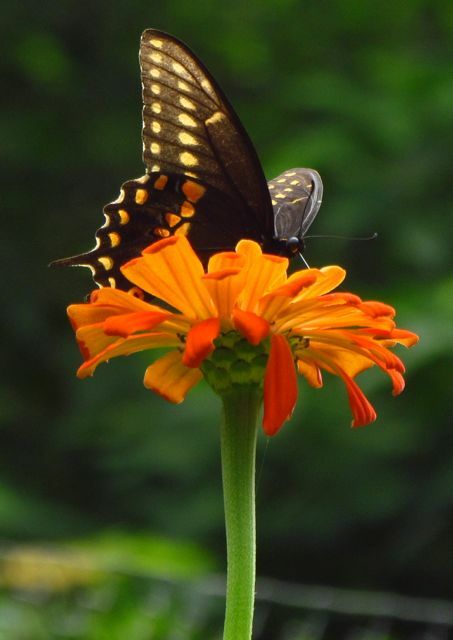 A more typical zinnia form. The other likely contributor to the success of the zinnias was the compost mix Wonder Spouse and I added to the vegetable/flower beds in the spring. This stuff was truly black gold; all the plants reveled in the nutritional bounty of this supplement. How happy were the zinnias? I started one batch early in my greenhouse, transplanting them out in late April. They were blooming by mid-May, and they didn’t stop until our first freeze killed them in mid-October. 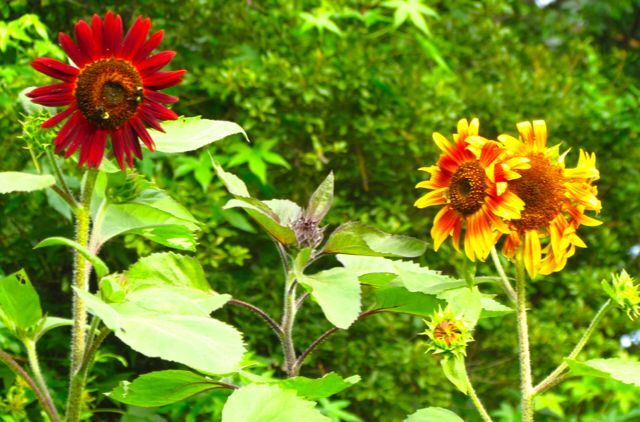 And they eventually grew as tall as the sunflowers I tried this year — well over 7 feet high. These were sturdy-stemmed plants that lifted abundant, constantly produced large zinnia flowers to the sky without any support from me. I actually had to stand on a stool to cut the final flowers before the cold got them. They were amazing. So pleased was I with the transplanted bunch of Raggedy Annes that I direct-sowed the remaining seeds in the package. This is usually highly risky, but the abundant rainfall ensured nearly 100% germination. Then I had two tall patches of rainbow-colored flowers, most 3-4 inches across, in shades of cream, orange, yellow, and pink. 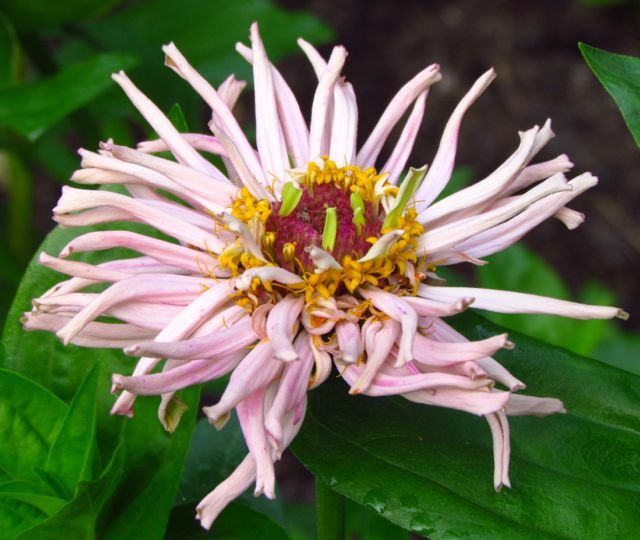 Forms varied from more cactus-type flowers to what I think of as traditional zinnia shapes. They were still growing strong when this shot was taken on August 22. They made wonderful cut flowers too, lasting at least a week indoors. I was able to create several lovely zinnia-based arrangements that I presented as hostess gifts at various events over the season. I’ll probably try this variety again, just to see what kind of results I get during a more typical growing season. Although, maybe, if I’m very lucky, adequate rainfall will become typical of my summer weather again. How great would that be? As for the nasturtiums, the rain and compost gave Spitfire the enthusiasm of that notorious southern invader, kudzu. Seriously, after the tomatoes and beans surrendered to fungal diseases in August, Spitfire vines took over those trellises. Paths were swallowed, orange, subtly fragrant blossoms dangled in abundance from rounded leaves the size of saucers. I was actually relieved when the freeze turned them into mush, fearing I had unleashed a monster. Nasturtium ‘Spitfire’ was almost terrifyingly productive. 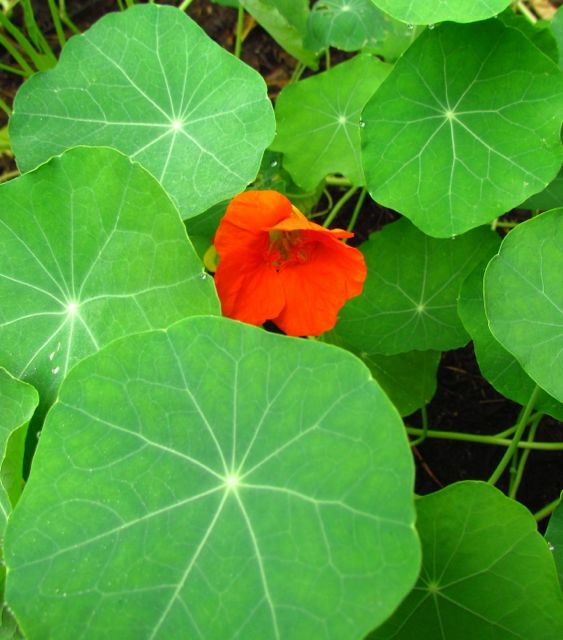 Last year, the beautiful nasturtium, ‘Cup of Sun’, surrendered to the drought by early August. This year, it continued to flourish until the freeze. Cup of Sun isn’t a climber, so it remained a much more polite plant, confining itself to the beds where it was planted. I love the subtle variations in color in this variety. Having proved their worthiness across two vastly different growing seasons, I suspect these nasturtiums will remain a part of my vegetable garden for the indefinite future. I may not even need to plant them next year. I noticed seed pods all over the garden. 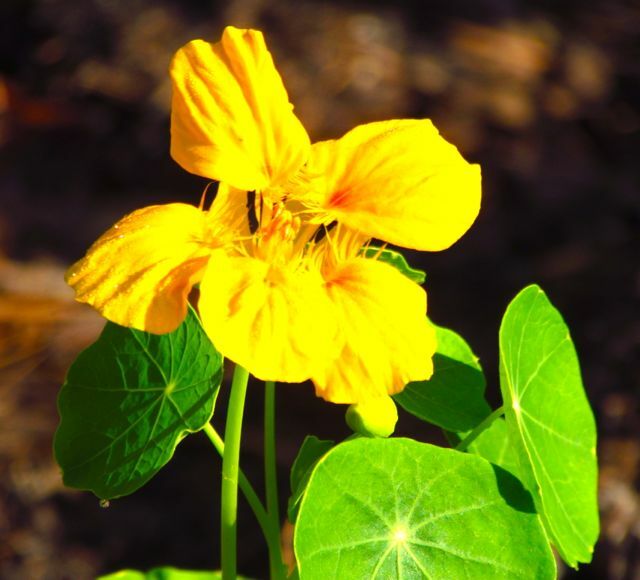 I direct-sowed both nasturtium varieties when my soil had warmed enough to plant the bean seeds. They took it from there without any further aid from me. Nasturtium ‘Cup of Sun’. Both varieties make lovely little cut flower arrangements, preferably in smaller rooms, where their subtle fragrance can be appreciated. Because I like variety, I decided to try a sunflower seed mix from Renee’s Garden this year. 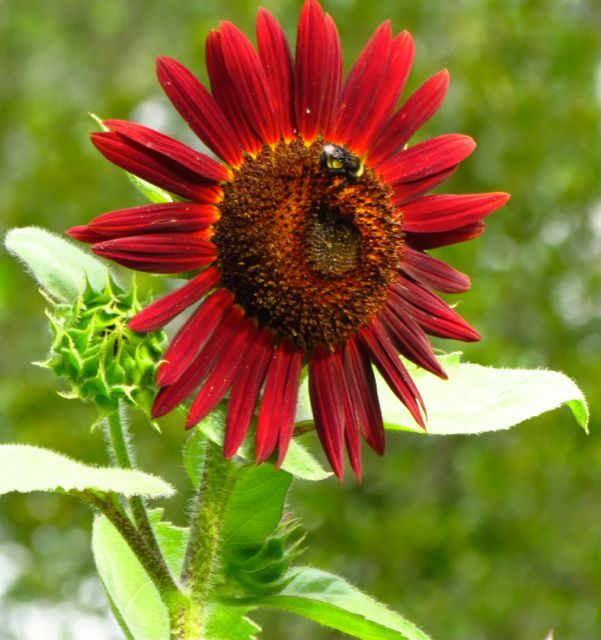 I chose Sunflower ‘Royal Flush Bi-Color.’ Direct-sowed seeds yielded 100% germination in my moist compost-enriched garden. Plants shot up straight and tall, topping out at about 6 feet. Flower size was moderate — large enough to make an impact, but not so large as to be too heavy to stand upright without support. 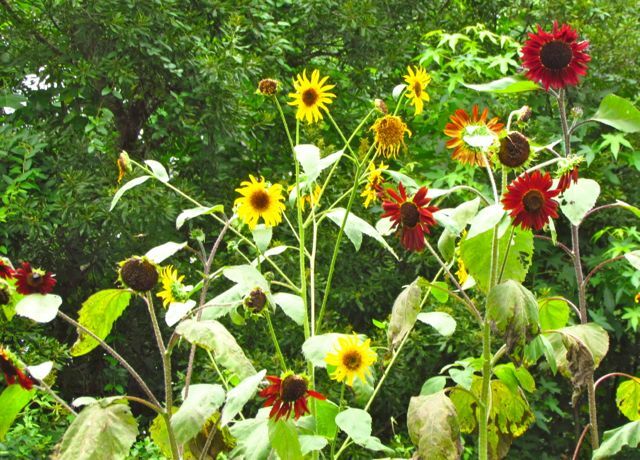 Most, but not all, of the flowers were bi-colors, producing two-tone blossoms in a range of yellows, oranges, and reds. 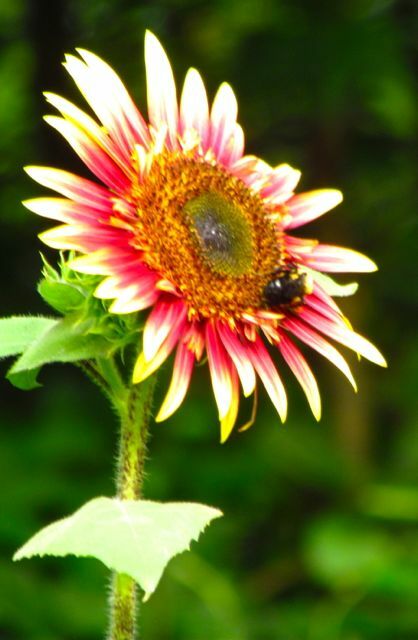 As always, the sunflowers were reliable pollinator magnets. 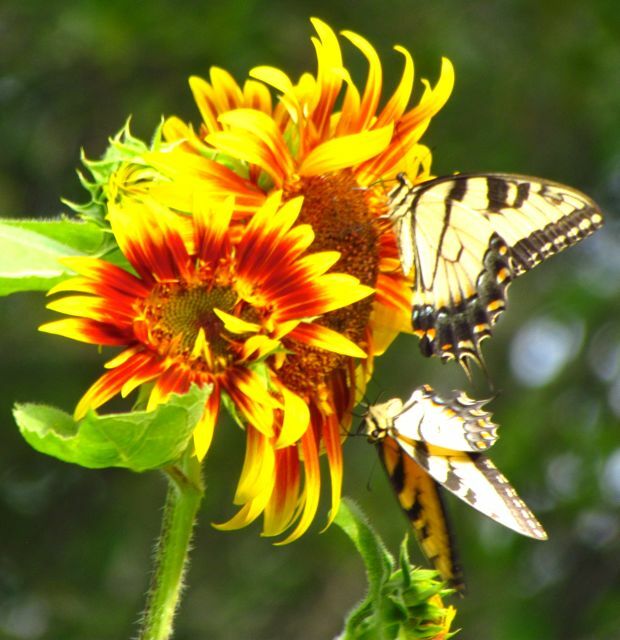 Several bees always lingered on them, and during the height of the swallowtail butterfly population explosion, those beauties competed with the bees for spots on the sunflowers. These blossoms are supposed to be good for cutting too, but I never do it. 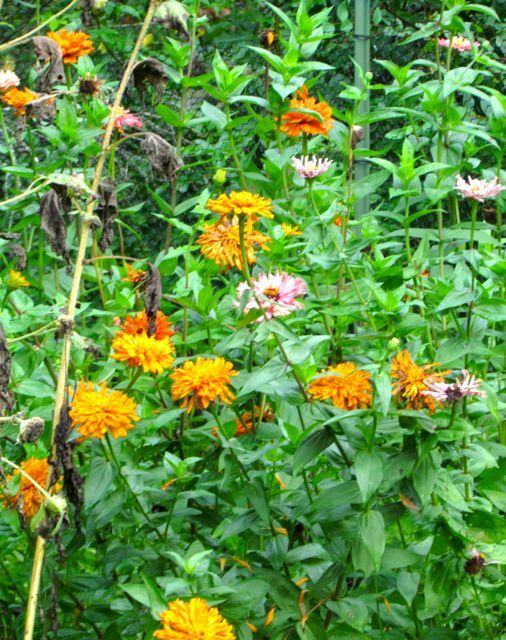 I never seem to have that many, and unlike the zinnias, these plants die after the first flush of flowers. Still, I love their lofty enthusiasm, and most summers, they are the tallest flowers in the garden. I enjoyed the variability of this sunflower mix. I might try this variety again, but Renee’s Garden always offers so many tempting sunflower varieties that I might feel obliged to try yet another one. The other Renee’s Garden flower varieties I tried were not as successful. Because they were so resiliently lovely despite the drought and heat of last year, I tried Cosmos ‘Little Ladybirds’ again. They did not like the abundant rains of this past season, remaining small, blooming unenthusiastically, and eventually expiring from a fungal disease. I tried sowing Salvia ‘Coral Nymph’ and Monarda ‘Butterfly Bergamot’ in the greenhouse. I do this successfully with many flower varieties, herbs, etc. However, despite quick germination, I could not persuade the salvia to thrive. All the seedlings eventually died of fungus problems. I had a few seeds left, and decided to direct-sow them in the garden. One germinated and managed to bloom. The flowers were lovely, the plant didn’t seem to be strong enough to stand up without support. I never managed to get a good photo of it before it expired. The monarda variety struggled in the greenhouse, but I managed to raise about six plants to transplanting size. Monardas are notoriously susceptible to fungal diseases in my region, so I was not surprised with the problems I had with these seedlings. 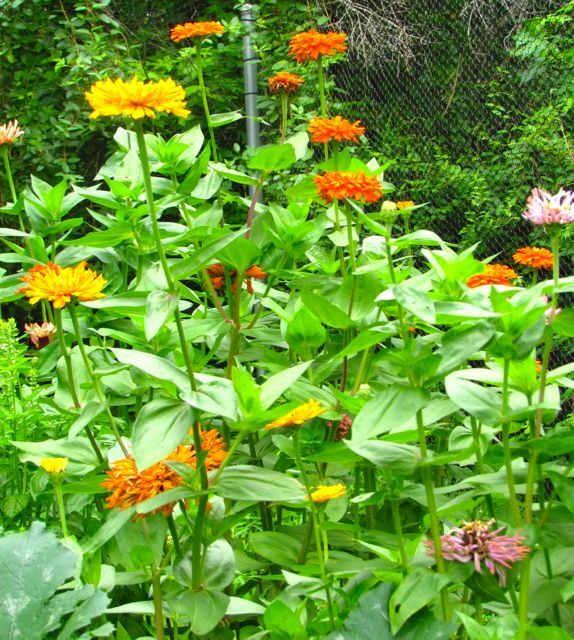 However, once they settled into the compost-rich garden, the plants grew tall, flowering beautifully. 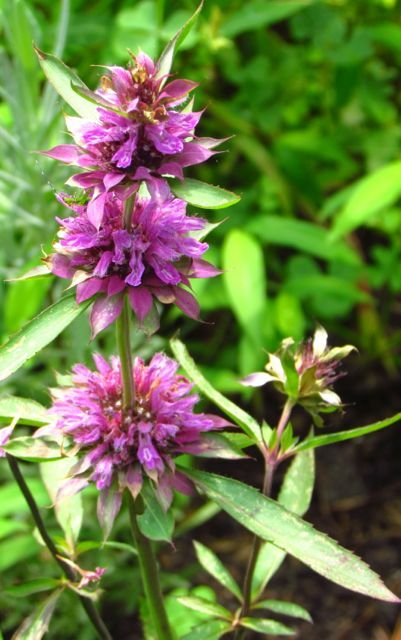 As readers of this blog know, I love purple flowers, so I was thrilled with these beauties. Alas, after three days of blooming, we got another rain. The plants almost melted before my eyes, becoming piles of green mush, victims of the rampant fungal diseases that flourished during the rain-soaked summer. Talk about fleeting beauty! I’d have missed them entirely if I’d been on vacation that week. 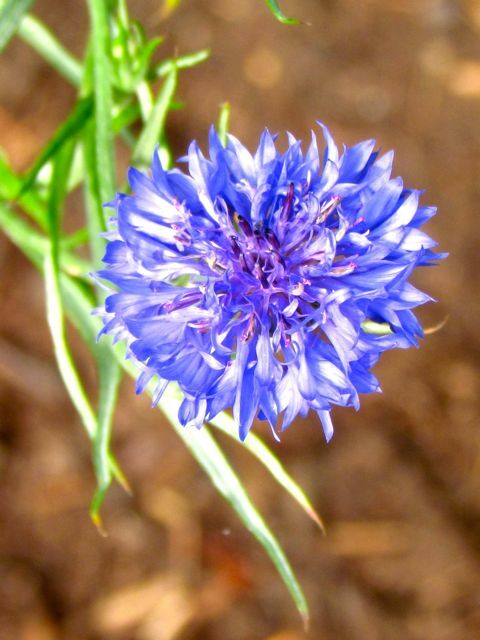 Finally, I’ve always been an admirer of Cornflowers. I think my appreciation began with the crayon named for this flower’s color in the big boxes of crayons that I loved during childhood. 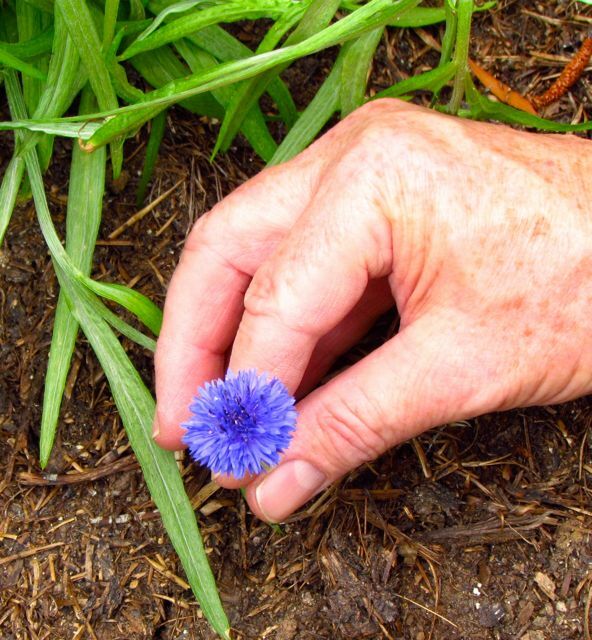 When I saw Renee’s Garden was offering Cornflower ‘Blue Boy,’ I had to try it. I was disappointed. In their defense, I suspect the rain and compost were at least partly responsible for the rampant growth of this variety. Plants grew three feet tall before they began to produce flowers. Flower size was small, relative to the size of the giant green plants, nearly disappearing. The plants all flopped over, reducing the impact of the flowers further. Perhaps a drier year would produce different results, but I am disinclined to find out. Wonder Spouse’s hand provides scale, demonstrating the small size of the flowers. This concludes my two-part review of the Renee’s Garden seeds I tried this year. I want to thank this fine establishment for offering members of the Garden Writers Association like me the opportunity to try their products for free. 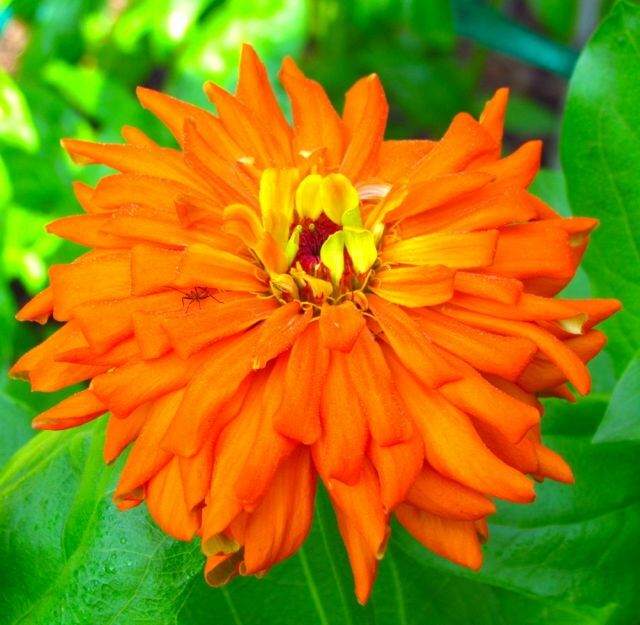 Without this chance, I would never have discovered the subtle beauty of a planting of Nasturtium ‘Cup of Sun,’ or the relentless productivity of Zinnia ‘Raggedy Anne.’ Thanks, Renee’s Garden. I hope you’ll give me the chance to try a few new varieties next growing season. This entry was posted on November 15, 2013, 3:29 pm and is filed under Favorite Plants, piedmont gardening. You can follow any responses to this entry through RSS 2.0. You can skip to the end and leave a response. Pinging is currently not allowed. I’m glad you enjoyed the flowers. 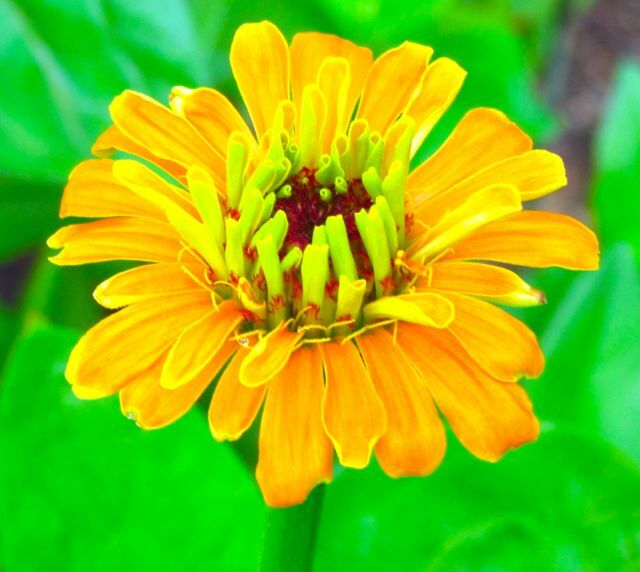 Yes, one of the many great attributes of zinnias is their wide range of available bloom colors. When you grow an assortment, as I did this year, you have many built-in options for lovely flower arrangements.